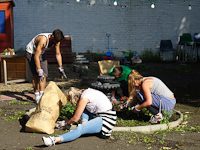 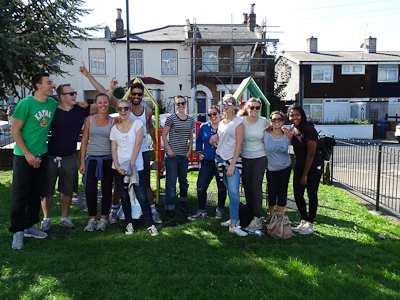 Brayards Estate TRA received 11 volunteers from Dentsu Aegis Network Ltd on a volunteer day organised by Project Dirt. 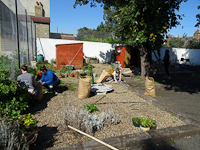 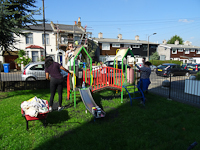 It was a beautiful sunny day at Brayards Estate and the volunteer managed to achieve lots of improve to the Estate for local people. 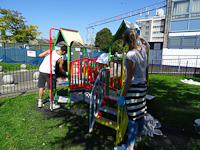 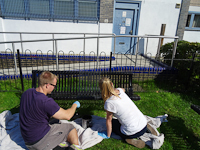 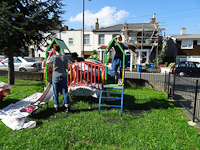 The team tidied and weed Brayards Estate community garden, painted the new children's play equipment and two metal benches. 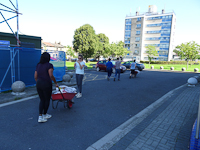 Brayards Estate TRA would like to thank all the hard working individuals for the improvements they have made to Brayards Estate on there volunteer day with us. 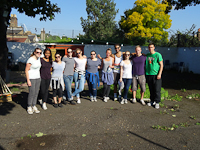 Plus we would also like to thank the Project Dirt and Isobar Global staff who helped organise the day.